Finally, I had some time to cook. The Husband and I have been on a health kick lately so todays recipe is super healthy. We got it from the Eating Well Diabetes Cookbook and I was very pleased. In the book, it has a sauce that goes with it but for the sake of saving time I skipped the sauce. 1. Heat 2 teaspoons canola oil over medium heat. Add pork; cook until no longer pink. Transfer to plate. wipe pan clean. 2. Add remaining 1 teaspoon oil, garlic, and ginger; cook, stirring constantly until fragrant. 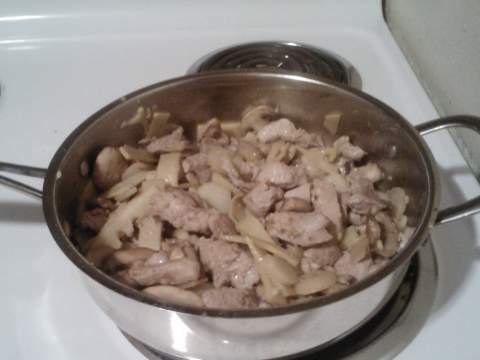 Add water chestnuts, bamboo shoots, and mushrooms. Cook stirring constantly until mushrooms have softened. 3. Return pork to pan and stir. 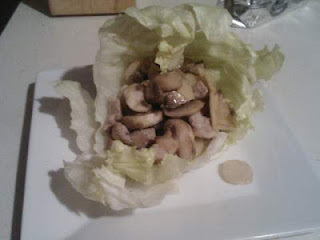 Serve sprinkled with scallions and wrapped in lettuce leaves. Hello friends! I assure you I have been wanting to blog it's just I haven't had much to blog about. I started working and because of the hours I don't have much time to cook and bake like I used to. Not gonna lie, it's been pretty tragic. I figure I will try and start out with oven mitts or something small. 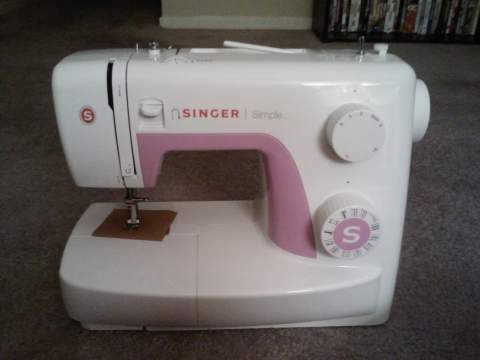 My main problem is I don't know how to turn on the machine or anything but it came with a DVD that will hopefully help. I also have a few friends that know how to sew and hope they will be a good resource. Hope you had a wonderful Fourth!